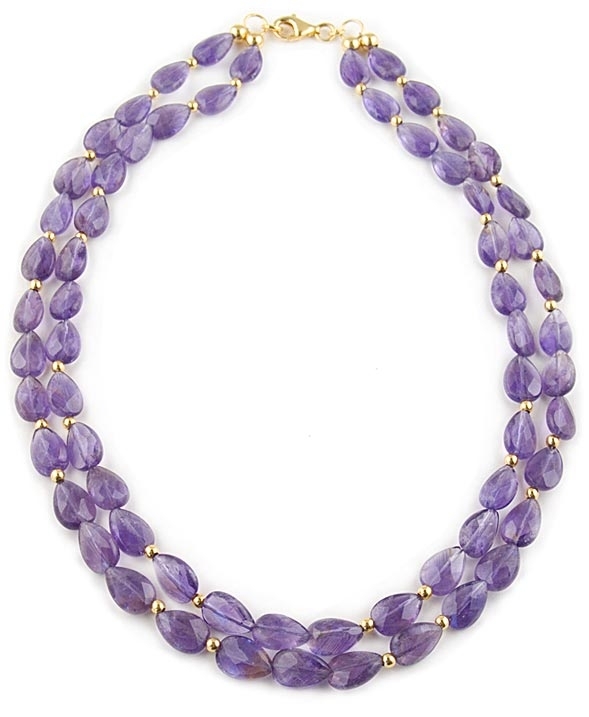 Amethyst gemstone beads necklace by Angelo De Soto. This striking necklace features two strands of 14x10mm amethyst faceted drops intervened by 3mm 18 karat gold vermeil balls. Necklace measures 44 cm (17.4") in total length and fastens with a lobster clasp. A classic designer necklace that will add spark to any outfit and will also make a wonderful gift idea. Available exclusively in the UK from Farfallina.net Jewellery Boutique.